Godminster is tucked away on the outskirts of beautiful Bruton, Somerset. Richard Hollingbery (with his truly environmentally minded and ethical spirit) turned the farm organic in 1999 and never looked back. There’s now 1,300 acres of breathtaking views in a beautiful landscape, that's home to 280 organic dairy cows. Bountiful orchards, filled with delicious fruit and herbs, are used as inspiration for the food and drink at Godminster. The award-winning cheeses are courtesy of the milk from the organic Friesian, Norwegian Red and Norwegian Brown herd. 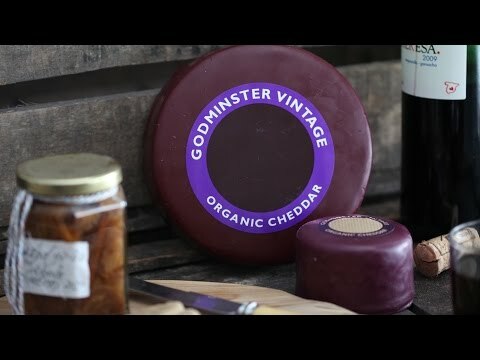 In fact, Godminster has one of the finest cheddars we’ve ever had the privilege to taste.